Do you want to study the ayats of the Quran on friends using tafsir and self-reflection? Have you ever wanted to Quran journal but don't know where to start? This course is easy to do so you and your child can both easily follow it. Everything is provided. The links to the ayats of an online Quran are included as well as tafsir of Ibn Kathir. Included is a worksheet that I will guide you through to do your first journaling, the second journaling you will do using a journal with guidance as well. 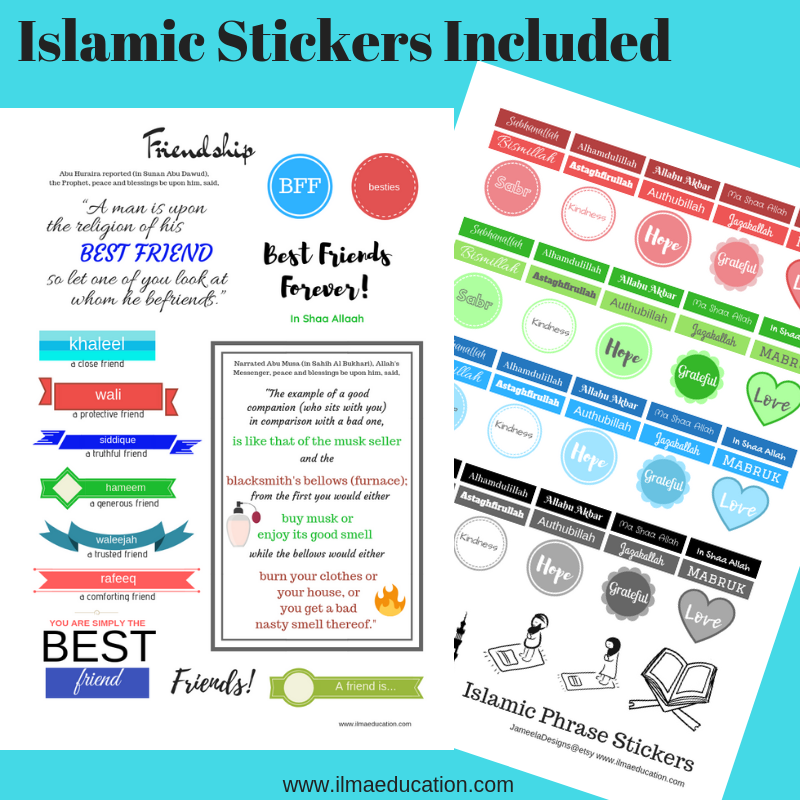 There are also stickers to download and print on friendship. Use these to decorate your journaling. This is a great way to get yourself or your kids to read and apply the Quran to their lives using creativity. I was introduced as a proper format for Quran journaling through Jameela Sister. Maa shaa allah wanted to attend this course to get a support system to do things perfectly. Al hamdulilah such a detailed course it is. She has taken care of each and every small things available. The course is worth for the fee you pay in! May Allah give her family all the blessings required. 1. What is a friend?